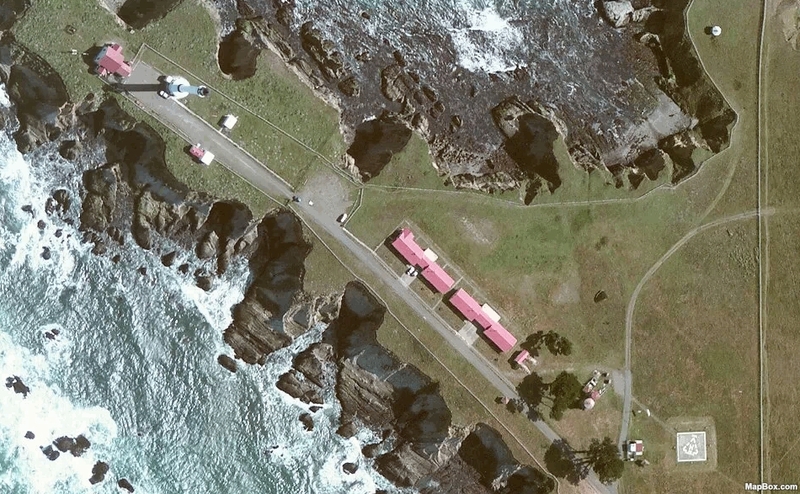 Get a birds-eye view with the high-resolution color orthoimagery in ExpertGPS. Zoom in on any location in the United States to identify trails, plan site visits, or measure crops. 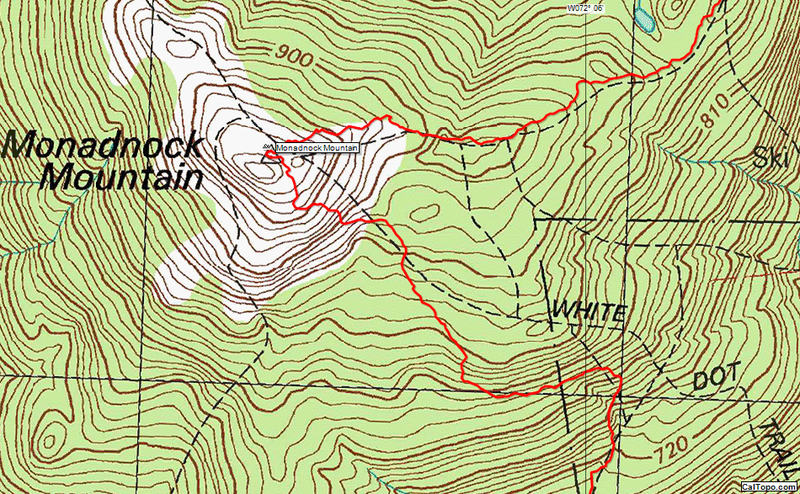 ExpertGPS displays US Geological Survey 1:24K topo maps for the entire United States. The maps have been seamlessly tiled together, so you can print perfect maps, even if your trip crosses a paper map boundary. Draw directly on the maps, and print lat/lon and UTM grids for use in the field. 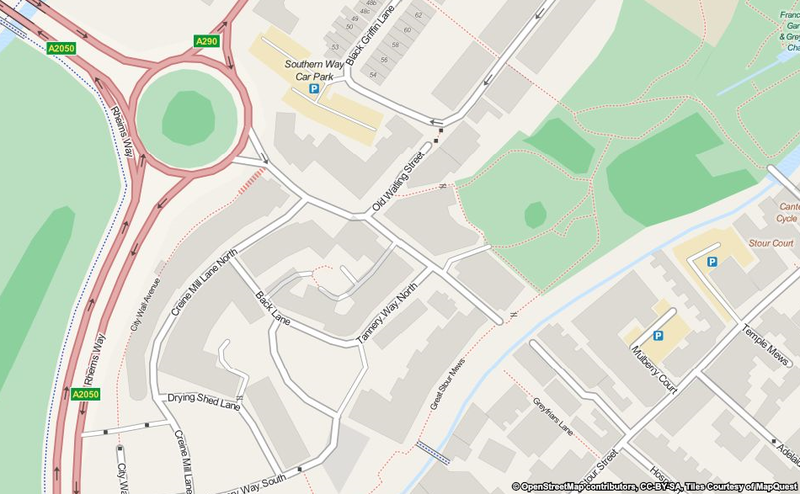 Call up a street map of any location in the world with the Find Address command. 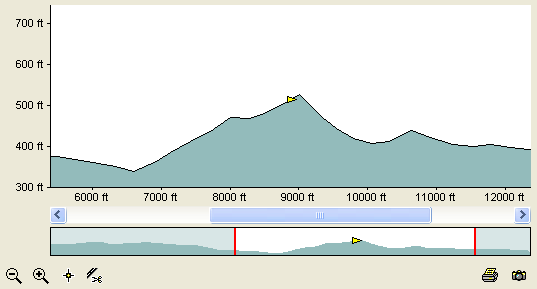 The Elevation Profile view in ExpertGPS shows a vertical plot of elevation over the course of your trip. Unlike in other software, the Elevation Profile in ExpertGPS is fully interactive - you can zoom in and out to see detail, create a waypoint at the exact high point of the profile, and delete "spikes" caused by poor GPS reception. Click anywhere on the profile, and your position (the yellow triangle) is instantly updated on the map. 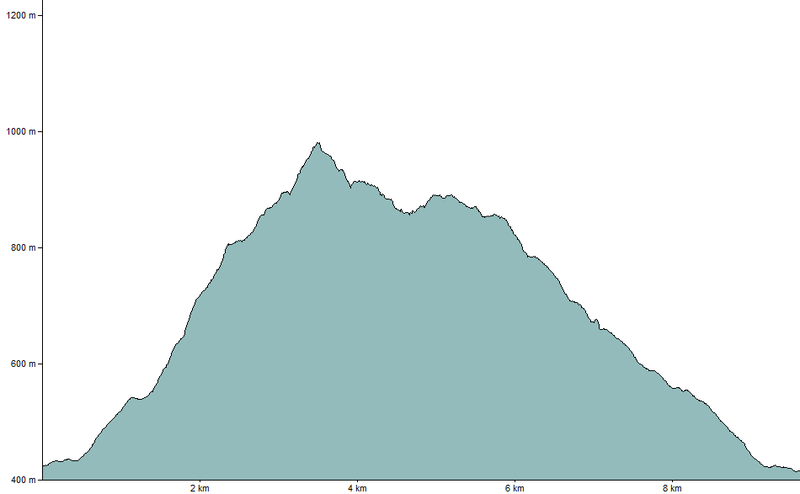 You can trace a trail off of a topo map and instantly see an elevation profile for your hike. Tired of GPS receivers that lose signal in dense woods or the "Urban Jungle"? Use the Simplify command to smooth out a tracklog that suffered from poor GPS reception. The same tracklog after using the Simplify command. Applying the command again results in a smoother track. Too much? Just hit Undo! The Waypoint List shows all of your waypoints in a grid format. You can sort on any column, and add or remove columns to customize the Waypoint List to show your data just as you want it. Click on any waypoint to highlight it on the map. ExpertGPS has specialized list views for all of your waypoints, routes, tracks, photos, and geocaches. I receive data from my surveyor, work with it on ExpertGPS, then show results on Google Earth. Did you ever go back and look at an old waypoint and realize that you have no idea what the cryptic 6-letter name you gave it means? With ExpertGPS, you'll never have that problem. 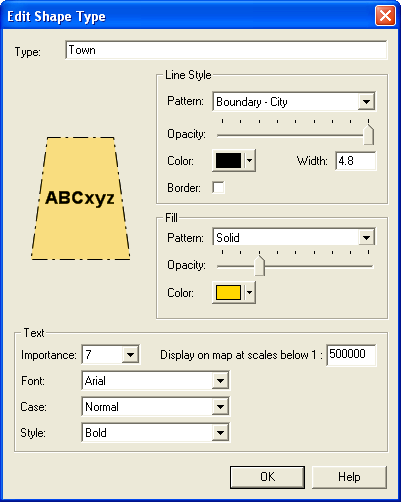 The Edit Waypoint dialog lets you give your important waypoints descriptive labels, and you can choose a real-world type to categorize the object you are marking. Enter as many notes as you want in the description field - ExpertGPS will display them when you hover the mouse over the waypoint on the map. If you have a digital camera, take a photo and link it to the waypoint using the Links &Photos buttons. Each of the items in ExpertGPS (your waypoints, routes, tracks, shapes, and notes) can be classified by assigning a Type. Once you create Types to describe the real-world objects you are mapping (trails, farm fields, streams, summits, trailheads, etc) you will be able to create professional-looking maps of all of your GPS data. 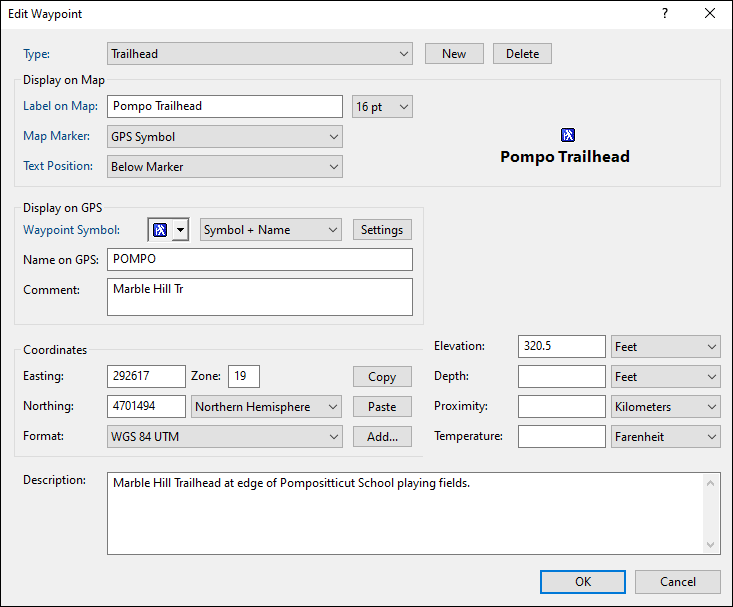 ExpertGPS comes preset with a library of standard map symbols, and you can customize them or create your own to give your maps the perfect look.